In turn, they have used that result to calculate that the Sun is approximately 7.9 kiloparsecs from the Galaxy's centre—or almost twenty-six thousand light-years. "Stars with very close to zero angular momentum would have plunged towards the Galactic centre where they would be strongly affected by the extreme gravitational forces present there," says Hunt. "This would scatter them into chaotic orbits taking them far above the Galactic plane and away from the Solar neighbourhood." "By measuring the velocity with which nearby stars rotate around our Galaxy with respect to the Sun," says Hunt, "we can observe a lack of stars with a specific negative relative velocity. And because we know this dip corresponds to 0 km/sec, it tells us, in turn, how fast we are moving." Hunt and his colleagues then combined this finding with the proper motion of the supermassive blackhole known as Sagittarius A* ("A-star") that lies at the centre of the Galaxy to calculate the 7.9 kiloparsec distance. The result was published in Astrophysical Journal Letters in December 2016. The method was first used by Hunt's co-author, current chair of the Department of Astronomy & Astrophysics at the University of Toronto, Prof. Ray Calberg, and Carlberg's collaborator, Prof. Kimmo Innanen. But the result Carlberg and Innanen arrived at was based on less than 400 stars. The velocity and distance results are not significantly more accurate than other measurements. 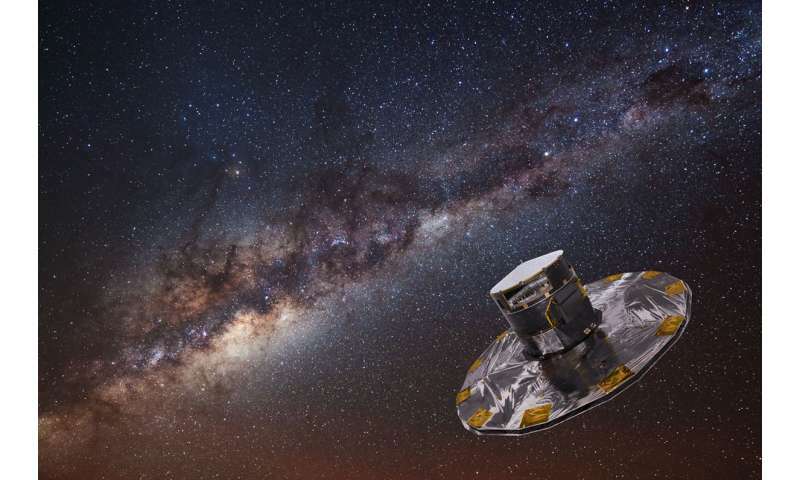 But according to Hunt, "Gaia's final release in late 2017 should enable us to increase the precision of our measurement of the Sun's velocity to within approximately one km/sec, which in turn will significantly increase the accuracy of our measurement of our distance from the Galactic centre."